I have bought a brand new Sony KDL-70R520A. The problem is that it does not recognize MTS video files. I’m able play AVI and MP4 formats, but not MTS videos. Can anyone help? Dazzling picture quality, infinite entertainment options, and internet connectivity ?C Sony HDTVs are known the world over for their brilliant color, clarity and elegant design. XBR, W, S, or R Series ?C there's a Sony smart tv perfect for every room. How to watch camcorder video on Sony XBR/W/S/R Series TV? 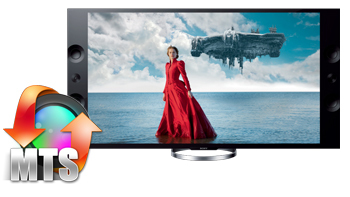 If you got a Sony Smart TV, you may like playing your HD recordings on the nice HD device. It's a good way to share your happy times with your family and friends. Today, I'll share the Sony smart tv AVCHD/MTS solution wihth you. Connecting your HD Camcorder to a Sony Smart TV/HDTV/Android TV, select a video then play it. But, you will be in trouble. The Sony tv can't read your AVCHD/MTS videos directly.Giving up playing HD camcorder videos on Sony HDTV? "No". 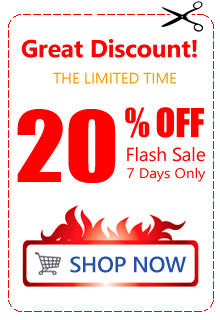 We can convert and transfer 1080P AVCHD/MTS video to USB flash drive for playing on Sony Bravia tvs. Acrok MTS Converter is a professional HDTV MTS video converter for converting Panasonic, Sony, JVC and Canon AVCHD/MTS recordings to any video foramt. Sony HDTV support H.264 MP4 format playback well, so we can transcode AVCHD/MTS to MP4 via Acrok MTS Converter. If you are Mac user, Acrok MTS Converter for Mac can help you convert AVCHD/MTS to H.264 MP4 on Mac easily. Launch Acrok MTS Conversion program; click "Add" button from main menu to browse your computer hard drive and select the files you want to convert. 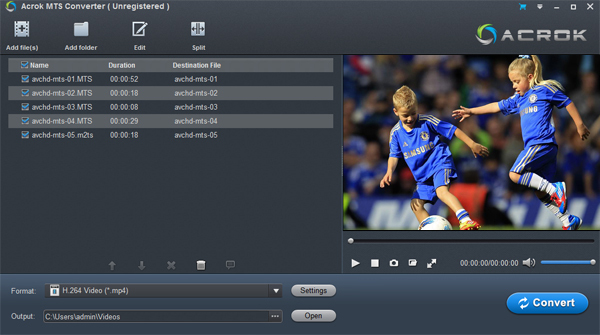 Or you can easily drag-and-drop HD AVCHD/MTS fooatges into this application for converting. Click "Format" bar and choose "Common Video -> H.264 Video (*.mp4)" as Sony HDTV compatible codec for playing HD camcorder AVCHD/MTS videos in Sony tv smoothly. If you like, you can choose "Sony HDTV Video (*.mp4)" under "HDTV" category to convert AVCHD/MTS to HD MP4 video for Sony XBR/W/S/R Series tvs. Tip: Tap "settings" to customize the output parameters - adjust the video size, bitrate, frame rate, audio sample rate, audio channel, etc to get a decent video for watching on Sony smart tv. 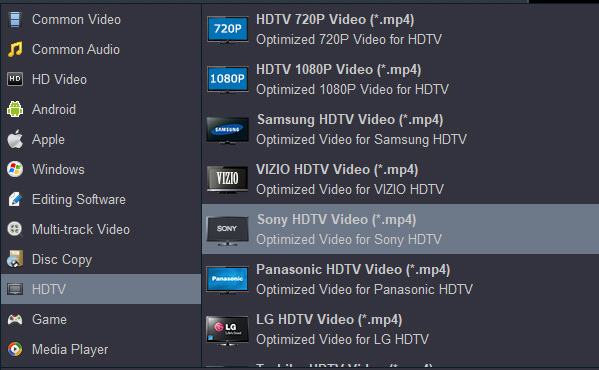 Click the "Convert" button to start encoding AVCHD/MTS to H.264 MP4 for Sony Sony XBR/W/S/R Series HDTV right away. This conversion process will finish soon. Afterwards, click the Open button to locate the output files and transfer to USB flash drive or a digital device. Connect USB to USB interface, now you can watch AVCHD/MTS video on Sony smart tv without any problem. A9F Master series, Z9F Master series, A1E/A8F OLED 4K Ultra Smart TV, Z9D/X900F LED 4K Ultra Smart TV, X850F/X830FX750F LED 4K Ultra Smart TV, X800E/X720E 4K Ultra Smart TV, XBR-55X900A, XBR-84X900, XBR-65X850A, KDL-55W802A, KDL-70R520A, KDL-40R450A, XBR-65X900A, KDL-55W900A, XBR-55X850A, KDL-47W802A, KDL-65S990A, KDL-32W650A, KDL-65W850A, KDL-70R550A, etc. So fast at converting and no quality lost from what I can see. I can play my downloaded moveis on Smart TV freely.I don't usually leave reviews and was a bit worried about purchasing this but then it blew my expectations out of the water.